Most people have heard of the critically acclaimed AMC hit TV show The Walking Dead. Those of us who you could consider addicted are familiar with Daryl Dixon, played by actor Norman Reedus (also known for his role as Murphy MacManus in The Boondock Saints). 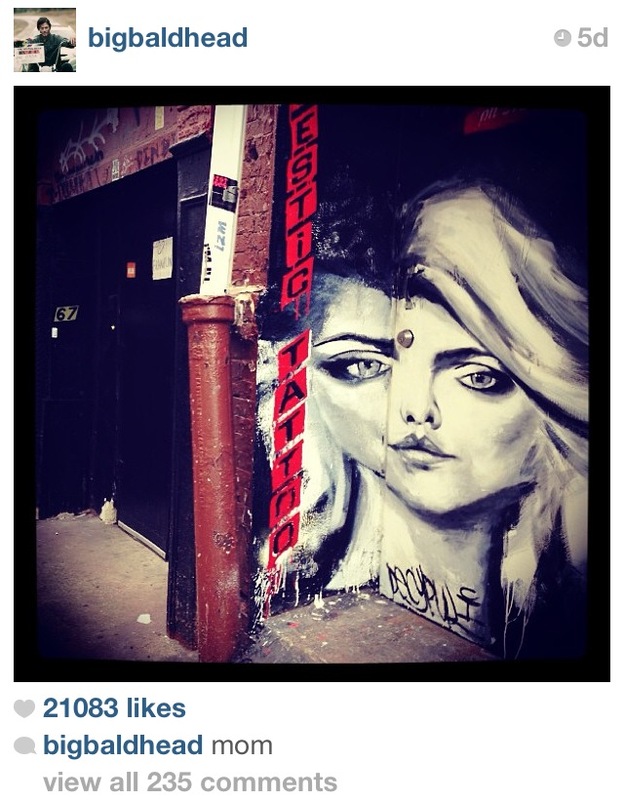 Majestic Tattoo got a surprising passerby last week when Norman Reedus posted a photo of Majestic’s street portrait of Debbie Harry (by artist Decypul) on his personal Instagram account. Within the hour the photo had over 21,000 likes and 200 comments. Well over 400,000 people ended up viewing the picture. This was great exposure for Majestic Tattoo and Decypul, we’re looking forward to more visitors! This entry was posted in About the Shop, News.